Today started kinda ordinary. It’s my day off so I slept in a little later than I should have. It took me a tiny bit longer to get downstairs and make a cup of coffee. Instead of working on my upcoming deadline I flipped open my bible. In my mind, a Jesus date was more important than starting my writing project right then…right? Yes, the procrastination motive is kinda embarrassing I’ll admit it. But it was a convenient escape. Once I finished a chapter or so, the next procrastination option was to pick up my phone and scroll through each social media app I have (of course). I got to Twitter and began seeing pictures of sandy beaches and gorgeous sunrises come up on my screen. Out of nowhere, I get this thought. This was from Jesus, and I was a little confused. I already did. I replied slightly frustrated. I already read my bible. 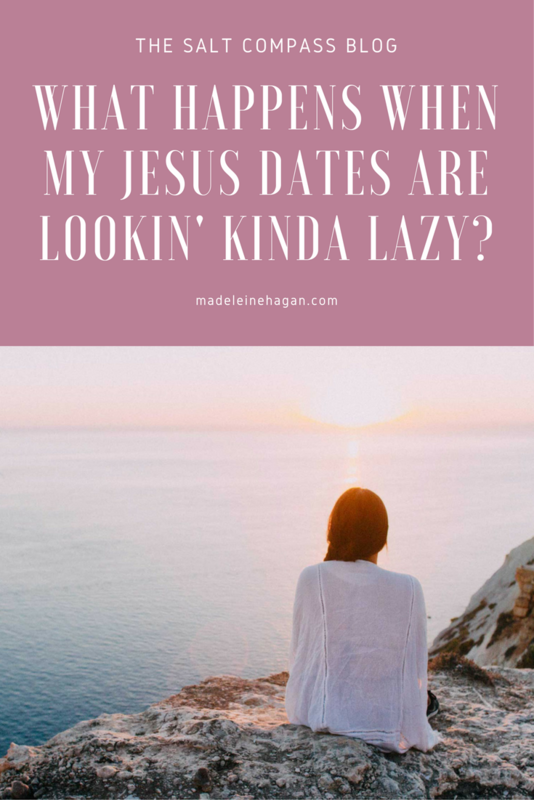 I had the “Jesus date” that I aim to have every day. Did that time not count? Was it not enough? I could almost hear Him laughing. And the thought came again. I understood more the second time. There I was, sitting on my bed, still in pjs, with the messiest messy bun known to man, and the coffee hadn’t kicked in so I was not completely awake yet if I’m being honest. I began to wonder a little. How many days have gone by like this? Most of the time my relationship with Jesus consists of lots of messy hair, pajamas, and leftover pasta for dinner. I mean, there’s the weekly date (Sunday morning church), but even then sometimes I want to stay in bed and watch a sermon online. In other words, there hasn’t been a lot of effort lately on my part regarding my personal time spent with Him. I expect Him to be there whenever is convenient for me, whether that’s 11 am as I drink my coffee and avoid my deadlines, or just past midnight as I try to fly through a devotional before I fall asleep. It’s whenever I can fit Him into my schedule. Whenever I can be bothered to add a new prayer time into my week. Yes, He’s always there to meet with me. And no, He never minds that I look like a mess or am barely keeping my eyes open. He loves me just the same. And yes, it’s good to be comfortable enough to chat with Him in pjs and a sleepy face with no makeup. I shouldn’t feel the need to present only my best side with Him. But I think that’s an excuse I can use a bit too often, and I miss out on opportunities to spend time with Him on His terms because they’re in my “inconvenient and not required” zone. I looked at the pictures of the waves and the sunrise on Twitter again. When’s the last time I got dressed, braved the cold outside, and sat at the beach for my “Jesus time”? Is it required? No. But if most of the time I’m too lazy to even get out of bed, what am I telling Him about how much I value our time together? Am I saying it’s anything special? Worth effort and time? Why is it that I’d be excited to drive three hours to see my boyfriend for just an afternoon, and yet the thought of setting aside just one hour in prayer seems like a lot for God to ask of me? It was a comparison I’d never made before, so this was a lightbulb moment for me y’all. I don’t want to get stuck in the mindset of only doing what’s convenient for me. What would it look like to show Him with my life that I’m jumping-up-and-down-excited about the next morning/afternoon/evening/day/week I get to spend with Him? When was the last time I said yes to one of His date ideas? 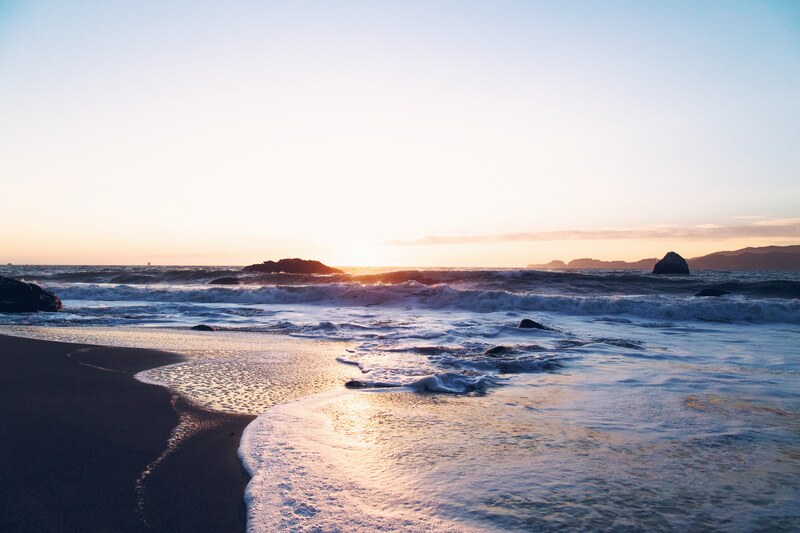 I know you love the beach, want to go and watch the sunrise? Let’s get coffee, we might have a conversation with some really great people. Remember that book I wrote for you? Have you read it all yet? Want to dress up for church today for no reason other than the fact that we can? Want to send out some encouragements from me for people who need them today? What replies do I normally give Him? No, it’s cold. No, it’s early. You know I’m not a morning person. No, I don’t have the time. No, I don’t have the energy. No, I shouldn’t waste money on that. But it’s true! I am just that lazy sometimes. And if I don’t sugar coat my answers, those are the things I’m in the habit of telling Jesus right now. He makes so much effort to spend quality time with me. How many shooting stars have I missed because it was too cold? How many adventures did I miss because I was too comfy watching a movie? How many opportunities to grow closer to Him have I let pass me by because I thought it’d be too inconvenient to go along with His suggestion? This is my King. My Creator. My heavenly Father. My closest friend. My Savior who has proven He loves me more than anyone else ever could. I want Him to know that to me He is worth the effort. Now, this is not to say that there’s anything wrong with the mundane, casual, day to day times throughout the week I get to spend with Him. I am 100% a “pizza and pajama date” kind of girl, and sometimes life is tough and I just don’t have the energy in me for anything else. And that’s okay. He loves those times too, and some of my most treasured memories with Him were not at a church retreat or a community worship night. But sometimes showing some effort is good as well, and I don’t want to be on the side that’s not showing it. He’s much too adventurous to let me confine all our time spent together to twenty minutes reading Corinthians before I fall asleep. My point is that I want Him to know I care. That I’m willing to put effort into our relationship even when it costs me something. And if HE has a suggestion for how we should spend our time together, then I am SO up for it. Like going to the beach for that sunrise even though it’s early. Like setting aside a weekend away that’s in addition to the normal Sunday morning “date”, and not letting anything else distract me in that amount of time. Walking that extra mile. Something just a little more. Just because I want Him to know I really do want to spend more time with Him. I’ll drive a little farther. I won’t cancel when I’m sleepy. I’ll plan a little extra. No blinking at the cost. He already proved no cost was too high for me. The invitation for your Jesus date is there, girl. And your name is on it in silver, glittery letters. Just found this through someone who shared it on Facebook. Speaks to my heart! Thank you for reminding me that time with Jesus should be spontaneous and alive. I’m so glad you liked it!! Thank you so much!